Three well-known Australian musicians have mentored three local unsigned solo performers and a band as part of Connecting Song, with Geelong as the star. The program (an initiative of the Arts & Culture Department of the City of Greater Geelong), begun in 2016 with Adalita, Mark Wilson and Tim Neal mentoring the youth of the Geelong area, and focuses on musicians in Geelong and surrounding areas to showcase and develop an artist with the help of award-winning musicians. This year, the program sees the return of Adalita Srsen from Magic Dirt and Mark Wilson from Jet, along with Mick Thomas from Weddings Parties Anything headed home to Geelong especially for the chance to work with the next generation of Geelong musicians. Chloe St Claire, Jack Meredith and band Alby Jay (Jeb Costin, Jarred Paggels, Tommy Doggett Williams and Callum Marriott) have worked to write, record, produce and create a film clip as part of the process. Each song is a homage to the mountains, the city and the beaches they all call home. Local businesses Oxygen Music; Don’t Poke the Bear and Geelong’s own community television station, Pulse TV, have all contributed to the process to help the artists realise their projects. 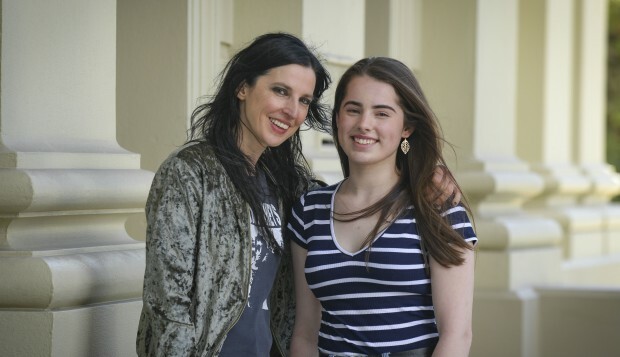 “I’m so proud to be a part of the Connecting Song mentoring program again. The talent is truly incredible,” Adalita beams. The clips will premiere at Geelong After Dark, Friday 3 May 2019, with each mentee performing sets at the Worker’s Club in celebration of the process.